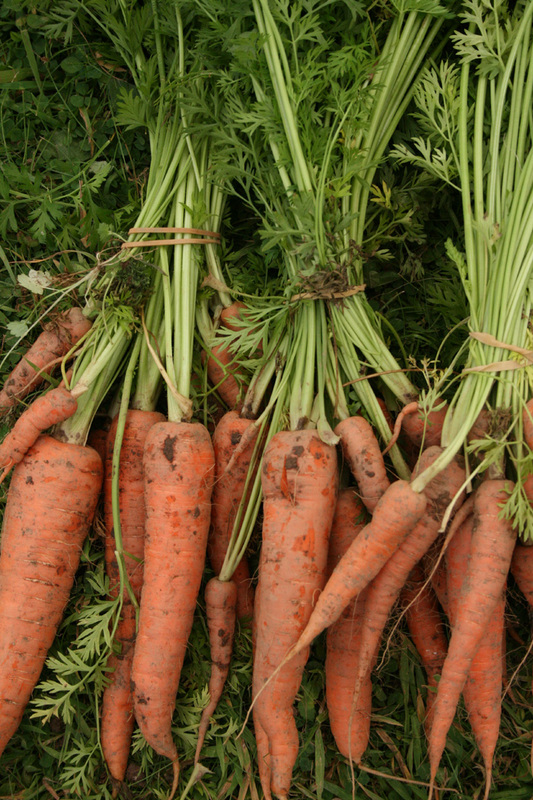 We have REAL baby carrots in this week’s veg boxes – not the baby-cut carrots that are heavily marketed in supermarkets as a healthy alternative to junk food. Preheat your oven to 200°C/400°F/gas 6. Toss your carrots with a good glug of olive oil, a splash of vinegar, salt and pepper, the thyme sprigs and the garlic cloves. Place in a roasting tray or earthenware dish, cover tightly with tinfoil and cook for 30 to 40 minutes until just tender. Remove the foil and cook for a further 10 minutes until the carrots have browned and caramelized nicely.